Sherry received her coaching certification through the Robbins Madanes Training Center, the official training school of Anthony Robbins. This training along with her previous background has taught Sherry how to transform individuals, businesses, organizations, and couples. Sherry’s training as a Strategic Intervention Coach draws upon a variety of disciplines including; Ericksonian therapy, strategic family therapy, Human Needs Psychology, organizational psychology, neurolinguistics and psychology of influence. Sherry’s is not only a life & business coach but a 3x business owner / entrepreneur. She’s been in the trenches and knows what it takes and how hard it can be to succeed. Sherry has worked with Fortune 100 & 500 executives to mom & pop shops to solopreneurs. Her experience includes For-Profit and Not-for-Profit businesses as well as the manufacturing industry. 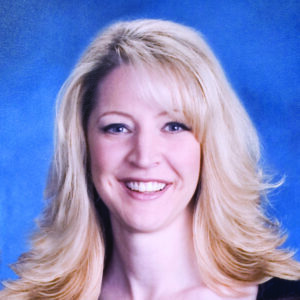 Sherry brings world-class best practices to the art of Business Coaching & Consulting; she has a background in sales & marketing, team building, and systems. Sherry is Founder & CEO of Sherry DePerno: Life & Business Coaching; founded to help success driven individuals get the results and life they desire. Sherry is President & CEO of Advanced Tool Inc; a premier world-wide end mill manufacturer that uses their proprietary Wear Analysis™ program to reduce high costs, inefficiencies, and solve problems for Fortune 100 & 500 manufacturers around the globe. To learn more about Advanced Tool Inc visit www.advancedtool.com. In 2003 Sherry founded ALS of Utica; an independent 501c3 not-for-profit that raises money for families battling ALS (a.k.a. Lou Gehrig’s disease). To learn more about ALS of Utica visit www.alsutica.org.